When customers save energy, Inspire's mobile app allows them to get money back. There’s been talk for years of an Amazon, Apple or Google emerging in the American energy industry -- a company that offers consumers a seamless solution for their energy needs, combined with choice, control and access to their own energy-generating potential. But that concept has yet to become a reality. Structural issues are the primary reason for this, according to Patrick Maloney, CEO of the Santa Monica-based clean power retailer Inspire. 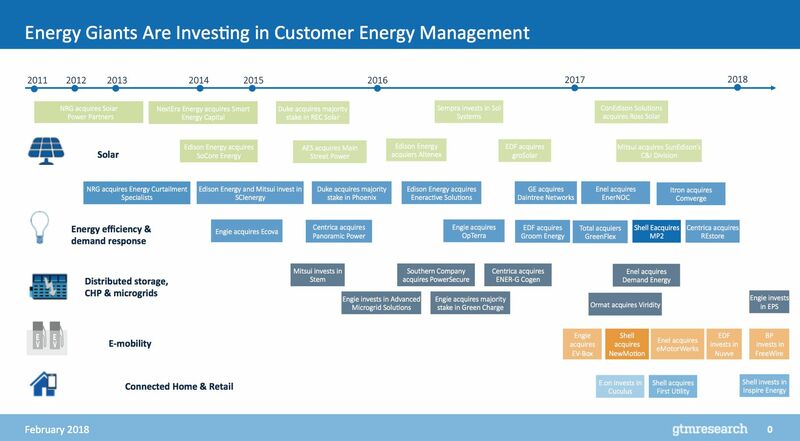 NRG Energy tried to create a customer-centric clean energy company under David Crane, but lost the support of its investor base. Utilities are trying to become more customer-centric too, but are limited by their traditional incentive structures. In Maloney’s view, the only way to succeed is to try something new. For Inspire, that begins with the customer, not with a specific technology or type of generation. The four-year-old company’s breakthrough was to reinvent the retail electricity revenue model with an industry-first subscription for clean energy. 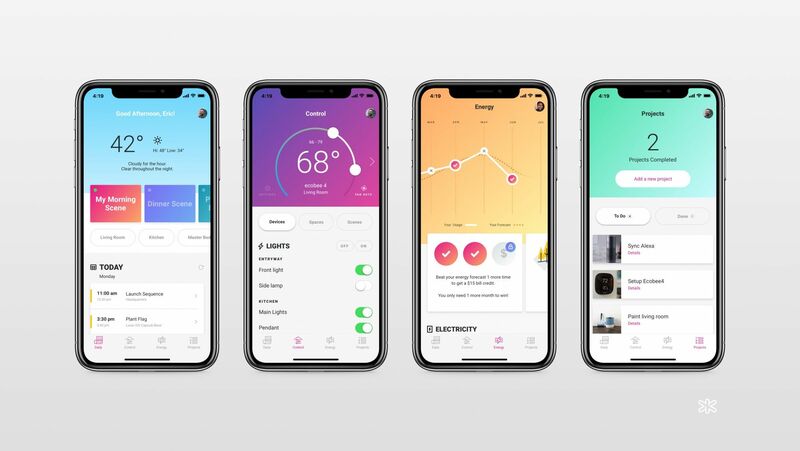 Under Inspire’s "Smart Energy" subscription model, customers pay a simple flat monthly fee for an integrated smart home experience, energy management services and 100 percent clean electricity. Because it’s a true flat monthly fee, and not just a flat per kilowatt-hour charge, Inspire’s incentives are aligned with the customer’s, said Maloney. The less energy their customers use, the more money the company makes, which enables Inspire to offer customers rewards for the energy-saving actions they take. Inspire isn’t entirely new to the scene, but it is repositioning. The company launched in 2014 with a wind energy subscription program available in deregulated electricity markets on the East Coast. The company is now approaching 100,000 members in seven state markets and more than 2,000 cities, and is strategically expanding its footprint, having recently landed in Chicago. Maloney describes the wind program, which is based on renewable energy certificates, as phase one of the company’s evolution. Inspire’s new “Smart Energy” subscription plan represents phase two. Last month, the venture-backed startup clinched a multi-year strategic partnership with Shell Energy North America, where the energy giant will provide Inspire with a broad range of services to support its ambitious expansion plans over the next several years. Support will come in the form of a credit line for trading and a revolving credit facility. Shell’s backing will facilitate Inspire’s purchase of clean energy products and accelerate membership growth, with capacity for more than 1 million members. Royal Dutch Shell has amped up its presence in the clean energy sector over the past year, with the acquisition of the electric-vehicle company NewMotion and Texas-based energy retail and services company MP2. Shell also made a major investment in U.S. solar project developer, owner and operator Silicon Ranch Corporation, and Shell’s venture arm made an undisclosed investment in Singapore-based solar firm Sunseap Group. Last November, the Dutch firm announced that it is increasing capital expenditures for its new energies division to $1 billion to $2 billion per year through 2020, up from a previous target of $1 billion per year by 2020. The partnership with Inspire aligns with Shell’s ambition to build scale across the renewables, gas and power value chain. Other energy giants are also boosting investments in cleantech, and becoming more active in retail energy. “Coming from the European model, where most generation companies are retailers, the move into the retail space is logical from the point of view of portfolio-balancing to hedge on market position,” said Elta Kolo, grid edge analyst at GTM Research. Shell Energy North America manages a portfolio of more than 10,500 megawatts of power generation. “Having a firm offtaker for its fuel in the form of direct, immediate access to energy consumers is a strategic advantage,” Kolo said of Shell’s investment in MP2 in a recent research note. The same can be said of Shell's relationship with Inspire. “Broadly speaking, generation giants with a retail consumer component are strategically positioned to make the optimal decisions in power markets, and recent acquisitions are signaling the rise of new market players: the ‘gen-tailers,’” Kolo wrote. With Shell’s backing, Inspire is now on a mission to grow its smart energy business up to a million active retail energy subscribers. The company will initially focus on deregulated markets where customers can choose their energy provider, but Inspire’s technology platform will eventually be able to serve customers across the nation through other partnerships, Maloney said. With surveys showing nine in 10 Americans view renewable energy is important to the country’s future, and millions intending to buy more smart, energy-efficient products in 2018, the company believes uptake will be strong. Also, while the dollar amount for Shell’s investment in Inspire was not disclosed, Maloney noted that the support is “sizable” and described Shell as the right financial partner to drive Inspire’s business forward. “They shared our vision for what we could create and wanted to develop a unique structure to help facilitate that,” he said. How does the smart energy subscription work? Maloney’s grand vision is to create the world's first comprehensive smart energy experience for the home. Inspire offers different kinds of rate programs, including 24- and 36-month plans with a fixed per kilowatt-hour rate and a monthly variable rate product for customers who don’t want to make a long-term commitment. But the flat monthly subscription is the company’s marquee product. “It's really that foundation that gives us the ability to align our incentives” with the customer, Maloney said. That process starts with assessing how a customer is consuming energy. To do that, Inspire built a big-data platform that enables the company to predictively price each subscription for every individual member, using inputs like the home’s materials and how many people live there. That pricing process is key to making a subscription product work. Developing it took the help of data science Ph.D.s and mathematicians, who crunched millions and millions of lines of data across multiple utility footprints in order to come up with algorithmic approaches to understanding how people use energy. Based on those dynamics, Inspire can quote a customer, say, $89 per month for their 100 percent wind power plan. The customer pays the same subscription price, every single month. The flat subscription fee model has worked in other retail sectors, like music and movies. So in that respect, Inspire is similar to Netflix. 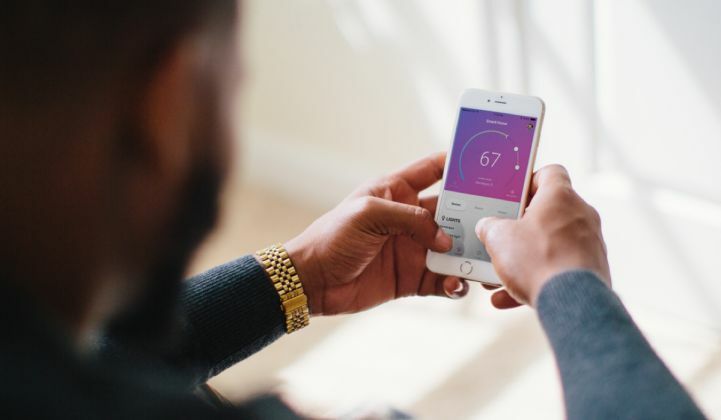 Smart technologies, including controllable LEDs and smart thermostats, are then layered on top of the base retail energy service and added to the monthly subscription fee. These devices are synced up to a mobile app so that customers have the ability to monitor and control their energy use, and get money back through the app every time that they save. This gamification element is intended to incentivize additional savings, and is similar in that way to the offerings of California-based software energy management company OhmConnect. Coincidentally, OhmConnect announced a new partnership with Centrica Hive Monday that offers customers a package of smart home technologies to help users save energy in return for a cash payment. No other company seems to be offering these services for a flat monthly rate, however. When Inspire’s customers use less energy than their consumption forecast, it decreases the amount of energy Inspire has to buy on their behalf, which saves Inspire money and allows the company to give customers some of that value back. Plus, the planet wins, because even though Inspire’s plans are based on renewable energy certificates from wind, “the cleanest form of energy is the energy you don't use,” said Maloney. “So it's kind of a triple-bottom-line win,” he said. Inspire is now working to take the smart energy concept one step further by automating a customer’s home controls and decreasing energy usage on their behalf, like a sophisticated demand response platform. This will allow customers to hand over their energy management decisions to Inspire and save, or take a more active role to boost their rewards. “The best thing we can do is create mechanisms so that people don't have to do anything, while doing good,” he added. Inspire’s Smart Energy subscription is active in the market today with the option of including climate, lighting and voice control devices. Eventually, that list will also include rooftop solar and energy storage, which will also be wrapped into a monthly subscription plan with no upfront cost. Inspire isn’t trying to be a vertically integrated solar company, Maloney noted. Instead, it plans to work with a roster of solar and storage installers, while continuing to manage the customer relationship. Adding solar and storage and other hardware devices will enable the customer to have a full smart home experience; it will also allow Inspire to go much deeper into the energy management services landscape. If customers are paying a flat fee and greater use of energy is free, their usage could very easily increase -- erasing the economic benefit Inspire sees from energy savings. That risk could be avoided by setting a limit on customers’ energy use, but Inspire opted not to go that route. He acknowledged that there could be a few bad actors, but testing so far has shown that customers don’t behave any differently on the innovative rate structure. “They don’t open their windows and run their air conditioner just to waste energy or get at Inspire,” Kirchner said. Another tricky piece for Inspire is making sure their customer analytics are spot-on, said Finn-Foley. Margins are already tight in competitive energy services. If wholesale market prices spike and customers are locked in to a specific rate, the margin could disappear. Maloney countered that there’s relatively little market risk because Inspire locks in the load obligation for each new customer at the moment they sign them up. So the company isn’t buying energy in real time over the course of the contract. At the same time, “We’re actively deploying hedge strategies against our committed portfolio on an ongoing basis,” he said. This arrangement allows Inspire to offer Smart Energy subscriptions for a set price for a full year. The company will soon offer plans for 24 and 36 months, and eventually a plan lasting five years. As for how to be competitive on price, Maloney noted that energy markets move all the time, so it’s hard to say what competitive is at any moment. So Inspire is looking beyond price to focus on the value proposition of a smart energy experience. Inspire’s specific combination of monthly subscriptions for wind energy RECs, connected devices, energy management services and monetary rewards is distinct in the market. But other companies are looking to do something similar. Green Mountain Energy, for instance, offers customers smart thermostats as part of their plan in Texas, but it’s not part of a monthly subscription. FirstEnergy Solutions offers a connected home plan for a monthly fee, but it’s packaged differently and doesn’t include energy management and rewards features. There’s also Centrica Hive Home, which offers various smart home packages, but doesn’t have a commitment to renewables. Reliant Energy offers customers a 100 percent wind energy plan -- just as Inspire does. Customers can also sign up for the Speak & Save program, where they receive a free Google Home and a free Nest E thermostat. The program lasts for 24 months and customers receive energy price security for the duration of the contract. However, it isn’t advertised as a flat monthly subscription. Inspire sees Vivint as one of its main competitors. While the Vivint Smart Home offering focuses primarily on home security, it has also partnered with sister company Vivint Home Solar to offer comprehensive smart home package. Vivint is a leader in the “smart-home-as-a-service” model, said Maloney; the difference is that Inspire owns the value chain all the way through to the energy service. “It allows us to capture and share vastly more value than the superficial relationships that have been created by just one device or one application,” noted Kirchner. While their business models are different, Inspire probably wouldn’t mind being grouped with Vivint from a financial perspective. Blackstone is reportedly preparing an initial public offering or sale of Vivint that could produce a $3 billion windfall, The Wall Street Journal reports. Inspire’s smart energy platform could have similar potential. “Whenever I hear the ‘Netflix of energy’ or the ‘Uber of energy,’ I am immediately skeptical, because these kinds of disruptions aren’t really predictable in many ways,” said Finn-Foley. Apple, for instance, wasn’t the only company trying to launch a smartphone. But it was the first company to get it right. “There has to be a secret sauce,” he said. Finn-Foley believes there’s room for disruption in residential energy. He’s written about the impending convergence he sees coming for technology and energy in the home. But the anticipation has also made Finn-Foley dubious.